Pro-Core is an approved state vendor that provides evidenced-based assessments aligned to Ohio’s New Learning Standards in Reading/ELA, Mathematics, Social Studies, and Science. These assessments measure student growth and teacher effectiveness and are effective instruments to drive instruction. 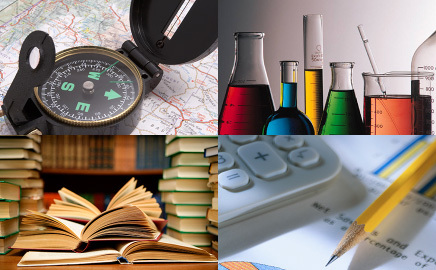 Pro-Core helps students and teachers meet the social studies standards in grades 2–12. Pro-Core helps students and teachers meet the next generation science standards. Pro-Core helps students and teachers meet Ohio’s new reading/ELA standards. Focused standards-aligned assessments in reading/ELA in grades 2–12. Pro-Core helps students and teachers meet the state’s new mathematics standards. Pro-Core stands out from other systems by providing focused learning, standards-based assessments. Pro-Core would love to assist you in preparing most effectively for your state and local assessments in the 2015–16 school year. Diagnostic pre-tests on individual learning standards in social studies, science, reading, and mathematics. Learning standards-based student- and teacher-class grouping reports. Follow-up (short-cycle) assessments on individual learning standards. Standards-focused interim “On-Track” assessments and progress reports. The ability to customize our system to meet your curriculum focus. Predictive levels of proficiency through pre- and post-test cut scores. End-of-course post-tests in social studies and science as well as reading and math. State-approved, student growth, and teacher effectiveness ratings that require no LEA input or computations. Easy-to-understand reports using non-technical data (e.g., simple test % scores) and commonly used state proficiency terminology. Flexible-scheduling of on-grade presentations of individual standards and assessments. Pro-Core teachers have full control of presenting individual learning standards, assessments, and related activities. This allows teachers to provide truly individualized and/or differentiated instruction. Pro-Core is a new State Learning Standards assessment system, whereas most other systems are built on old “re-packaged” skills-based and domain testing models. Yes No Teachers can easily identify student and class strengths and weaknesses in each standard. Yes No Teachers can assess student progress up to 30 times a year rather than 3 times or less, which will enhance student learning. Yes No Students lose 90% of knowledge after two weeks. The Review mode is vital to retention. Yes No Founder of Pro-Core answers 90% of calls/emails within 2 hours. Yes No Pro-Core’s 27 consultants are subject-level specialists, which ensures an up-to-date alignment with state curricula and content standards. Five are national learning-standards consultants. The Pro-Core system has the tools that teachers and administrators need to provide data-driven instruction. 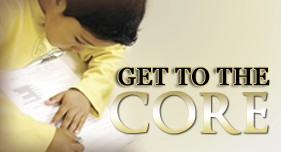 Pro-Core incorporates a proven instructional sequence the leads to improved teacher instruction and student learning. 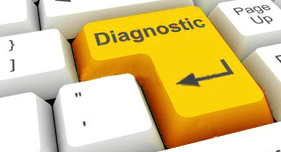 Pro-Core provides diagnostic assessments and a variety of progress reports to track student learning and growth.